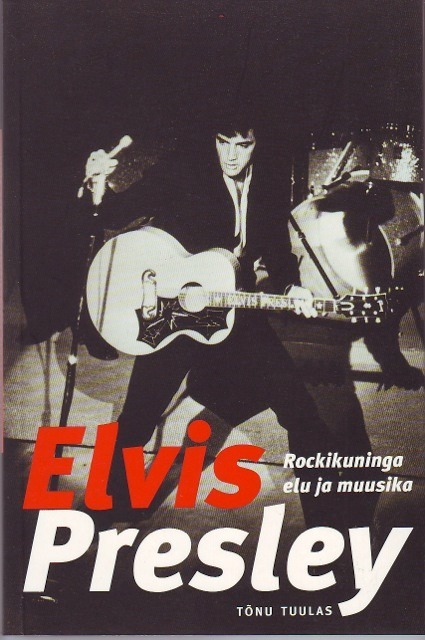 Comments: A really nicely produced original biography from Estonia, apparently produced to celebrate 1999 - 2000 Elvis In Estonia (but my knowledge of Estonian isn't enough to be 100% certain!). The title translates as "Elvis Presley, Life and Music of The King." Superb cover, great colour pics on inside cover flaps, great selection of black-and-white pics to supplement a well-printed text on good paper.